New Paul Weller DVD/CD Combo To Be Released November 29! – Paul Weller News! New Paul Weller DVD/CD Combo To Be Released November 29! 1 Comment on New Paul Weller DVD/CD Combo To Be Released November 29! What is it? 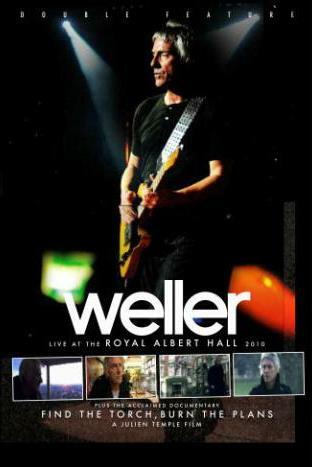 Well, according to the label, it’s a ‘lavishly packaged and highly covetable DVD and CD package’ mixing a 26-track live set culled from Weller’s Royal Albert Hall shows, an all-new film and a music disc of his Radio 2 gig earlier this year. The DVD movie part, directed by Julien Temple, is actually titled Find The torch, Burn The Plans and is described as ‘a remarkable 50 minute portrait of one of the world’s greatest musicians at the peak of his powers’. Make of that what you will. The whole thing is packaged in a hard back book style, with exclusive images, a new interview and a ‘collectable set of 5 cardboard prints’ housed in a slip case attached to the back cover. The full price is £31.99, although Play.com seems to be doing discounted pre-orders to £17.99 right now. More details from its website. 10. Shout To The Top! Pre-Order HERE w/ltd. edition A4 Print! Previous Entry Paul Weller And Corrine Bailey Ray Perform Andromeda! Next Entry Paul Weller Reportedly Got Married In Italy Last Week!